Click on the links below to view details of the services we offer. At the heart of any pool service is a thorough cleaning. At Katy pool service, we understand the importance of a clean pool. After all, who wants to jump into a pool filled with floating debris or with a thick layer of scum and algae on its tiles? While chemicals take care of bacteria and other microscopic nasties, regular pool cleaning is required. We use a variety of techniques and different types of equipment to scrub, skim, and vacuum away unsightly debris. While floating, trapped, and settled debris is easily removed with skimmers and vacuums, algae, scale, and general scum needs to be scrubbed off. Regular cleaning ensures that buildup is removed and less likely to accumulate in the future. We also clean spas! Whether your spa is part of a larger poolscape or a standalone spa, we have a spa cleaning plan for you. Not only does Katy Pool Services clean accumulated debris and scum, we offer a stain removal service. We use several techniques depending on the stain’s origination, location, and size. 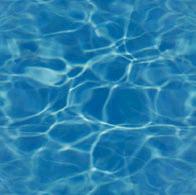 More importantly, we also assess pool staining to determine whether preventative measures are necessary. * Free use of a salt chlorine generator, maintained 100%, for as long as you are on service.